I discovered House of Stratus publishers about seven years ago, attracted by the really poor cover design I picked up a Dornford Yates, found the back blurb intriguing and became hooked. After that I kept an eye out for House of Stratus who kindly pointed me in the direction of Edger Wallace, and from there to a whole host of other classic crime writers. Could it be possible to imagine better Sunday afternoon reading? Well I thought not anyway and can promise I wasn’t disappointed. House of Stratus is an odd concern, I’m never quite sure if they’re still in business or not, (although it looks like they are at the moment). I notice that a lot of their list seems to have been appropriated by other publishers; lush facsimile copies of Edger Wallace now abound, and Vintage seems to have taken over Sabatini. If Stratus has gone I’m sorry for it, they had a delightful quirky list equal parts nostalgia, classic and pulp which provided me with many hours reading pleasure. Sabatini was writing from the 1890’s to the 1940’s and his attitudes reflect his times. I find it hard to read modern historical fiction after contemporary classics, current re-creations generally feel a little off to me, because of this I tend to avoid them, but old historic fiction is another matter altogether – Heyer, Orczy, Sabatini – all delight me. I think it has to be because their books are old enough now to bridge the gap between the present and the past they attempt to conjure. I read Richardson’s ‘Pamela’ once, it’s a terrific story but I found it very heavy going and so I find it with a lot of 18th century fiction, however hard I try with it. 19th century writing on the other hand is far more accessible to me, 20 pages or so seems to be all it takes to get in the right frame of mind and find an ear for the dialogue. The details of Sabatini’s 17th century may not bear close scrutiny but the combination of pace, old fashioned manners and even old fashioned prejudice make it easy enough to suspend disbelief and enjoy a cracking good yarn. I dithered a bit about writing on this because I know it’s a book that’s been widely discussed recently. On the other hand I’ve found myself thinking about it a lot since I finished it, not least because I felt it had some of the same disturbing qualities as Elizabeth Von Arnim’s ‘Vera’ which remains one of the most disquieting novels I have ever read. ‘The Tortoise and the Hare’ has been on my shelf for years in a semi read state, but the combined forces of Cornflower and Book Snob made finally made me pay it proper attention. I found the breadth of opinion on this book taking me by surprise. It shouldn’t have. I must have acquired it in my early twenties, but it makes much more sense to me now. In brief this is an examination of the breakdown of a marriage explored from the point of view of an increasingly wronged wife. Imogen Gresham is fifteen years younger than her husband Evelyn. It’s explained that she was initially attracted to his personality, good looks, and passion for herself; he has demanded sympathy, usefulness and complete devotion. After 12 years of marriage to a successful and above all forceful man, especially one so much older it’s hardly surprising that Imogen’s sense of self has become so wrapped up in pleasing her husband. It’s easy to read her behaviour as passive, but I don’t feel that it’s a fair assessment, or what Jenkins meant us to see. Evelyn Gresham is almost monstrous, entirely selfish and self absorbed in the importance of himself and his career. Having presumably chosen his bride for her ornamental and pliant qualities it seems hardly fair that he should later object to her lack of force, but this would be excusable if it wasn’t for the way he consistently undermines her. Early on there is a reference which suggests married relations are not as satisfying for Imogen as they could be, something that Evelyn clearly resents far more then she. Later it becomes one of the most mortifying aspects of his defection – what could be more devastating to a wife’s self esteem then the realisation that her rival’s response is more flattering then her own. Blanche Silcox at first seems such an unlikely rival, middle aged, physically unattractive, dogmatic in her opinions, solid in every way. It confuses me a little that she is constantly referred to as kind, thoughtful certainly, but as her consideration is mostly directed towards getting what she wants, kindness seems an odd description for it. Her attractions are based on her wealth, self assurance, and a lack of femininity; she is a jolly good sort. Imogen doesn’t blame her for annexing Evelyn, so neither will I; however questionable her behaviour it pales into insignificance compared to his. The insistence that wife and mistress should exist on terms of friendship, the amount of access Blanche is given to Imogen’s son and household affairs is outrageous, and yet so blatantly done it is hard for her to protest. This is where the similarity with ‘Vera’ is most apparent. Evelyn refuses to acknowledge any fault in his actions, as the weaker personality Imogen is forced to conclude the fault lies with her, but because it doesn’t she can’t possibly fix the problem. I think towards the end there are hints that Blanche and Evelyn’s relationship will prove disappointing to both parties. Imogen’s almost unconscious revenge is to leave them with joint responsibility for sorting out her future; Evelyn has already started to impose his will on Blanche, who will clearly turn out to be his match. I think it unlikely they will be happy. Specifically I was looking for Barbara Pym’s ‘Some Tame Gazelle’, Muriel Spark’s ‘The Comforters’ or Frank Baker’s ‘Miss Hargreaves’, indeed almost any of the Bloomsbury Group range would have done. All new books, none present. Then I looked for ‘Tarka the Otter’, recently reissued by penguin modern classics, avoided in the past because I assumed the otter died, but apparently the ending is ambiguous enough to be hopeful - so it’s on my list, but was not in stock. Whilst nobody was looking I browsed along paranormal romance trying to remember when this became a genre that deserved its own section. I found myself in front of a book rejoicing in the title ‘Mr Darcy, Vampyre’ and decided I was very much in the wrong place. In the end I bought nothing, the whole experience was deeply disconcerting – if a major retailer fails to take the money I want to spend its doing something badly wrong. Fortunately I have plenty to read at home, I spent the evening very happily with ‘The Talisman Ring’ (for the umpteenth time) but I find it very hard to understand why nothing I wanted was available. Generally when I come away from a bookshop empty handed it’s because I want something very specific and possibly obscure, or have no clear idea of what I’m after, but not when I have a longish list of recently published titles from major houses. This experience illustrates everything that seems wrong to me about bookselling today. Mountains of unsold, heavily discounted Dan Brown and Jamie Oliver demonstrate just how much faith is placed in a few big names to turn a profit, but can they do it? It’s impossible to avoid either author at the moment; they’re in every supermarket never mind bookshop and cheap with it. By Thursday when the Christmas books come out finding a tempting paperback beyond the massed legions of celebrity biography will become even more of a challenge, but why? Of course if the customer wants these titles, and sometimes they do, they should be stocked, but surely not to the exclusion of so many other things. Deep discounting isn’t helping profit margin, and lack of choice is driving people like me who would rather support the high street to Amazon. Price is a factor but so is choice, I miss the days when I could walk around almost any bookshop and find something that excited me, now I only rarely find that level of variety and imagination, generally in independent and second hand stores. The frustrating thing is that the books I want to read are being published, and I know I’m not alone in my enthusiasm, so why are we being ignored by so many retailers? I am a River Cottage convert, somewhere in the dim and distant past I vaguely remember sneering dismissively at Hugh Fearnley-Whittingstall, but those times are gone. I think it’s the get your hands dirty approach which won me over in the end - I really don’t want to own a pig, much less kill one, but should the situation arise and I prove equal to it, I think it would be only right to take the nose to tail attitude of waste not want not. I truly do enjoy making my own bread and preserves (although the mincemeat’s looking a bit disappointing at the moment) partly because people who don’t are fooled into thinking I’m doing something impressive, mostly because it’s deeply satisfying at some very basic level to produce this stuff. I discovered The River Cottage handbooks when I was given ‘Preserves’, and absolutely loved the Bread Book when it came out, so much so that I took it on holiday with me – but that’s another story. After that it was a foregone conclusion that I should have the full set, and at last I do after picking up a pristine second hand copy of handbook No1 - ‘Mushrooms’ by John Wright. Now is definitely the time to admit that I’m not that keen on mushrooms, I like the ordinary available in every supermarket safe kind, but can happily avoid the more exotic adventurous possibly killer variety. They are the wild food I am least likely to forage for, in truth if I can’t say with confidence that it’s a field mushroom I wouldn’t touch it, and all of this is why ‘Mushrooms’ was the last book to join my collection. Indeed if I hadn’t seen it second hand I still wouldn’t have it which would have been a huge loss because it’s a wonderful book. Even ignoring the excellent recipes at the back, the useful advice on fungi hunting and the law, or the useful guides to different methods of identification, and perhaps overlooking the excellent colour photos with guides to habitat, season, and distinguishing features this would be a wonderful book. It’s certainly a useful size and weight to slip into a jacket pocket, and seems to have all the necessary information to make it an excellent field guide, I am actually almost tempted to try mushroom hunting now, but the best thing, the very best thing about this book is the text. I was absolutely entranced by John Wright’s style and humour, so much so that this has become bedside reading. The tone is slightly deadpan, but not distractingly so. It’s fair to say there are bits which are intentionally humorous, but underlying that is a deep respect for how dangerous inedible mushrooms can be - In the section on poisonous fungi there are dire warnings about what will happen if you eat one, and exactly why it works on your system the way it does. I’m inclined to like any book which encourages me to look more closely at what’s growing around me, it’s a definite bonus that it could conceivably be a life saver. Over the past year I’ve had altogether more time on my hand than I’m used to, the end result is that I’ve also had a lot less money then I’m used to. Not having money has been something of a mixed blessing (fortunately not a total disaster as yet) clearly there are a lot of things impossible without it, but mid recession my situation is not unusual. There are social obligations that I can say no to with a clear conscience which is a tremendous luxury, and time to read in a way I’ve missed since responsibility for bills took over my life. Definitely not all bad. Before this happened I liked second hand book shopping, but I was more inclined to buy new, pristine paperbacks straight off the shelf in Waterstone’s or Borders and order exciting packages of half a dozen volumes at a time from Amazon. New books are currently pretty much outside of my budget though, which has meant something of a readjustment in buying habits. Yes I miss being able to buy all the exciting new things amazon are so helpful as to bring to my attention - but they’ll keep. In the meantime a whole new world of second hand wonder has opened up. Despite an upwards trend even in charity shop pricing a book compares well with a weekend paper, and very well with a chain shop coffee, so should there be a spare fiver at the end of the week it’s a bit of a foregone conclusion where it will end up. I find it slightly ironic that despite being poorer than I’ve been since leaving university, I’m acquiring more books than ever. Ironic but deeply satisfying. Beyond the price second hand book shopping has other attractions; namely the fast vanishing pleasure of browsing with the real possibility of turning up treasure. I can’t say that it’s really extended my reading horizons, but my collection of Virago’s has expanded significantly, I’ve turned up a variety of books by authors I love long out of print, and It’s let me chase recommendations from likeminded readers that I might once have thought twice about. I think it’s also made me a much more discerning buyer, a totally inflexible budget means no room for mistakes, experiments and speculation certainly, but not outright mistakes. So I’ll take a chance on ‘Lady into Fox’ despite mixed reports, or 6 different E. H. Youngs confident that I can put my trust in Virago, but will pass up dozens of other titles that only half tempt. If I come out of this experience with nothing else I will at least have a larger, better chosen collection of books – the beginnings of a library with a coherent theme to it - and know that I’m much better read on those themes, in short the time will not have been wasted, and that’s very comforting some days. This is the Molly Keane book I was so obsessed about not having on the shelf. A nice well cared for copy arrived from amazon late last week, and I spent yesterday reading it. The first thing that I thought of was Verity’s post in The B Files because the book has a neat little address sticker in the front complete with a rather old looking phone number. Clearly this book started off as a keeper, well read, well treated, returnable if lost and tagged against unauthorised borrowing, so what train of events led it to me I wonder? Having read the introduction - by Russell Harty (which seems slightly incongruous somehow) the book sounded desperately unfamiliar. When I started reading the book proper it placed my rereading/book hoarding dilemma in a new light. I discovered and read Molly Keane in my very early 20’s and the best part of 15 years have passed since she first came my way, the only thing from this book that had stuck with me was one very specific description of a window, but it was enough to make me sure I had read it before. That said it might as well have been an entirely new book to me, I realise it’s certainly a different person reading and judging it. Doubts about taking the time to reread have been significantly diminished. A sense of familiarity was compounded by similarities with Noel Cowards ‘Easy Virtue’, I only know the play from last years film, but the plot of Loving without tears is roughly the same. Most of the action is crammed into a single day, the final few chapters play out in an hour or two on a quayside 3 weeks later, the whole thing reads like a play complete with stage instructions, the dialogue is very slangy and dramatic, with an embarrassment of snappy one liners. Spoken it would work as a drawing room farce, written it strikes a false note. Molly had a successful career in the 1950’s as a playwright, so I’m guessing that this 1951 novel is probably an adaptation of something originally done for the stage. I can’t say that I feel it’s her greatest work; it lacks the corrosively acidic element that makes her best comedies so black, or the pitiless insight that make many of her novels so compelling, but on the other hand a definitely happy ending is no bad thing. Angel, the villain of the piece is a wonderful portrait of selfish motherhood, and a lot of the one liners are very funny. There is a sense of Elizabethan romp about plot and subplot, Angel herself is a sort of virgin queen, Finn her half tamed butler definitely has a puckish quality, neither can be trusted an inch - even the house of Owlbeg seems an unlikely place, a sort of fairy tale castle perched on a cliff and wreathed in enchantments. All in all a fun read which has made me want to re-explore Keane, and now I’m more than happy to spend the time on it, unread Trollope be damned. I had a plan for today which partially involved being witty and insightful about Elizabeth Bowen, but by this point in the afternoon it’s fair to say that all my plans have come to naught and on the whole the last 24 hours have been a real stinker. In need of a moment of calm I went for a browse round Waterstone’s and things started to look better almost immediately when I spotted Tim Dee’s ‘The Running Sky’. Once upon a time I was a reasonably keen birdwatcher, Shetland has a lot of them, and as anyone who’s lived near Tern or Skua colonies will appreciate apart from anything else it’s nice to know what’s attacking you. I can’t say that I’ve kept on top of trends in natural history, but as a keen book spotter I have noticed a certain type of nature writing emerge over the last few years. Starting perhaps with Adam Nicholson’s success with ‘Sea Room’ there is a definite type emerging – rugged but sensitive accounts of sleeping under the stars and being at one with nature. I’m aware that my tone is slightly dismissive, but I do enjoy these books, I was bought up though on the likes of Gavin Maxwell (officer, gentleman explorer, interior decorator). He wrote about the environment around him with the sensibility of a hunter and a farmer, Nicholson in ‘Sea Room’ writes as an owner, the tone is slightly different and more in akin to the countryside I recognised. I’ve been collecting books for as long as I can remember, but once upon a time my horizons didn’t stretch much beyond Enid Blyton, even then I had a definite preference for anything set on an Island, regularly rereading my favourites. When I was 11 I discovered ‘The Scarlet Pimpernel’ and read it 17 times (not kidding) in a row. A year later I had moved on to Dorothy L. Sayers and Georgette Heyer, both of whose books have had repeated readings. By the time I was 13 it was Gavin Maxwell, and now my original copy of ‘Ring of Bright Water’ has fallen apart with wear. This is when I started to buy more books then I could keep up with reading, and as the year’s progress the problem has only got worse. I’m not apologising for it; not really, I know I will eventually read all these books. Actually it’s more the case that eventually I will probably read most of these books, but you know what I mean. It strikes me as pure common sense (and in no way self indulgent, oh no) to collect for the future like a book obsessed squirrel. What has become something of an issue is the guilt that I feel when I pick up an old favourite to reread. There are so many new books to get through - what am I doing? A month or so ago I reread all the Harry Potters, it felt like going on holiday, I enjoyed it tremendously, and arguably got a deeper appreciation of the collected works of J K Rowling. What I didn’t get was started on Trollope; something I’ve had in mind to do since the spring. Increasingly I make the effort to resist the lure of old favourites and go on to something new. Sympathetic reading groups, and the discovery of so many likeminded bloggers out there have made the list of books I want to read, and have waiting to be read longer then I could ever once have imagined. My dilemma such as it is, is this – do I carry on keeping books I read once, and probably won’t read again? Space is short, shouldn’t I release them to a second hand shop for others to enjoy? The fact is I wouldn’t let go without a fight, the sort of buying ban that might let me catch up seems inconceivable, but increasingly I find myself paralysed with indecision between the book I want to read, and the one I know I should read next. It’s by no means the biggest problem I have in my life, but it’s taking some thought. Well the mincemeat is made and I am viewing it with a degree of suspicion normally reserved for spiders. The quantities involved turned out to be so vast that they wouldn’t all fit in a bowl, had to be decanted into the largest pan I own, and still threatened to escape. Slightly disturbingly it all disappeared into a very few pots, where squish it as I might there still seem to be little pockets for air (bad) and all I can see is suet and apple (unappetizing). It will be a few weeks until I know if it’s worked or if it’s the pickled herring all over again. In the meantime I will be reading and trying not to stare. The perfect book would have been Sarah Caudwell’s ‘The Sibyl in Her Grave’ which I have sadly just finished. Sarah Caudwell was my Slightly Foxed discovery of last week, and ‘The Sibyl in Her Grave’ the cheapest on amazon. I liked the sound of Caudwell not least because we shared a university, although she went on to do a lot, and I went on to make Jam. 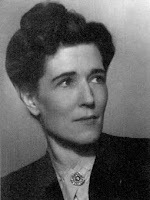 Sadly she died from cancer in 2000 aged only 60, and having written only 4 books. ‘The Sibyl in Her Grave’ is the last of these, so I really started at the wrong end, but two more are on their way, and I get the feeling chronology isn’t going to matter to much. Caudwell is a relatively contemporary writer for me, I would think this book was written in 1998/99, and she worked on international tax planning for a major bank whilst she was writing, so presumably well into the 1990’s, but none of her young barristers have a mobile phone, there is no mention of computers, and they communicate by letter rather than email. Ironic how long ago the near past can feel. Billed as a legal whodunit, the murder mystery aspect is satisfying in a vaguely Agatha Christie way, but it’s not as a crime novel that this book really works. The characters are sketched in quick light lines, they are easy to imagine but without any real substance, and the plot relies on the device of unfeasibly long letters to explain everything, but none of this matters compared to the sheer glorious wordiness of it all. The characters exist to say clever, funny things. Not jokes as such, just delightful, complicated sentences which made me laugh, but with the sort of elusive quality which makes quotation pointless – if I started a quote it would last for pages. Caudwell is destined to join the select ranks of authors who I will read and reread whenever I want cheering up. Her combination of elitism, classical allusions (so glad I have a dictionary of Saints), lightness of touch, and humour all make for particularly satisfying reading. The post has failed to deliver today, I hope tomorrow brings the next book - until then I will be trying not to prod the mincemeat and looking for another book to suit my mood. There seem to be two schools of thought on using flowers in food. There’s the camp I belong to which finds the idea intriguing and attractive, and then those who react with a level of suspicion that suggest your trying to poison them. Sadly my partner falls into the latter category which calls for a certain level of ingenuity on my part if I’m to change his mind. You could ask why bother? I like to use edible plants, partly because it looks pretty (and sounds charming) but also because of the long history of using herbs we’re now inclined to ignore in the kitchen, and this certainly includes a lot of flower flavours. The great thing about this book is that it’s not about making things look pretty; it’s about flavour - perfect for converting the unconvinced. This book is the result of many years of research and experiment, there really is nothing gimmicky about it. Instead plenty of information on flavour extraction methods – sugars, vinegars, oils, butters and more, and a contents page that reads like an Elizabethan garden. Carnations, gilly flowers, elderflower, lavender, marigolds, jasmine, roses, and pansies all feature as do others. The only downside, if it can be called that, is that there are no colour pictures, just a few black and white petals scattered across the pages, but for anyone with an interest in food history, or experimenting with what’s in the garden and hedgerow, it’s indispensible and irrisistable in turns. Last birthday I became the proud owner of River Cottage handbook No2 (Preserves, by Pam Corbin) which reinvigorated a never very distant interest in Jam making specifically, and preserving generally. It gave me the idea that I would like to make my own mincemeat, but being December already it was too late. My partner’s garden is currently full of sloes and apples, and our plan for this weekend involved doing something with both. Checking the method for sloe gin (that one didn’t take any thinking about) reminded me about the mincemeat. I clearly remembered finding a recipe last year that sounded lovely and would take care of a handy amount of apple so I set out to look it up. Hindsight suggests it would have been wise to make a note; too many cookbooks confuse the cook. Despite being very apple-y I rejected the River Cottage version for not being traditional enough. Same thing with Nigella’s vegetarian Cranberry adaptation, which I did make last year, it’s excellent, particularly as a condiment with roast meat or cheese, but come Christmas it’s not saying mince pie to me. Next port of call was Florence White’s ‘Good Things In England’ (lovely Persephone cookbook which I’ve yet to use) A Mrs Brewitt of The Priory, Melton Mowbray is credited with a very nice sounding concoction which comes with absolutely no instructions except ‘Do not let any flour of any kind touch the suet, or the mincemeat will ferment.’ It sounds like excellent advice, but I can’t see how flour would touch it. Mrs Brewitt makes me suspicious; I don’t think this will be the moment for Good Things. And so I turned to Elizabeth David –‘Spices, salt and Aromatics in the English Kitchen’ to be precise, now published by Grub Street. (I love Grub Street, not least because they specialise in Cookery and Military Aviation History, delightfully unexpected.) David tells me that I ought to know a good recipe already, before conceding that she’s asked a lot for mincemeat methods so perhaps a good mix isn’t that common. She also assures me that pre shredded suet is fine, which is nice to have confirmed, because I believe her when she says shredding it is a horrible job. She is, however, a little vague on a few points I want to be clear about, so I’m putting her on hold for now. In situations like this I always end up turning to Jane Grigson, and so it is today. In ‘Jane Grigson’s English Food’ I find two versions. One involving steak sounds a bit too authentic, vegetarians will not approve. One for orange mincemeat sounds perfect. I’ll let you know how it turns out. One of the unexpected results of cataloguing my books is the growing number of things I Know I once had, but which have disappeared. I don’t mean the ones that I thought better of and quietly disposed with (Bridget Jones: The Edge of Reason), or the ones I outgrew and passed on (goodbye Terry Pratchett, Robert Rankin, and Lillian Beckwith – unlikely stable mates that you are). Nor the books that I wasn’t precisely ashamed off, but who’s presence on the shelves jarred a little with the general tone (yes I can be that shallow) so most of Jilly Cooper went, though nothing is going to separate me from ‘Riders’ and I don’t care who knows it. Douglas Adams went too when I moved house once and felt I had to seriously rationalise, I think it was the right thing to do but sometimes I wonder? Tom Holt’s Mapp and Lucia sequels went at the same time with no regrets. Good but not E F Benson. No, I mean the books I would never willingly have parted from. Books I cherished. Books I would really avoid lending because I wasn’t prepared to lose them. I’m still slightly mortified by the memory of my 8 year old self neglecting to return a famous five book to its rightful owner. He eventually forgot he’d ever had it and got a new copy, I however remember my guilt. The thing is that although Amazon has made it easy to replace lost and out of print books I find the replacement is not the same thing at all. I love new books; clean smell, crease free pages, unbroken spines - all unsullied and perfect, they are a joy to handle. I love books which have aged with me, I can live with the occasional tea stain, the carrot cake recipe scribbled in the back of ‘To The Lighthouse’, even dog eared pages because it’s what makes them my books. Books given as presents – a battered copy of Angela Carter’s ‘Nights at the Circus’ is one of the best gifts I’ve ever received. Books from school prize giving’s, the reference books, still used, that chart my formal education. The books who’s lending build friendships. The title which strikes me as just what I’ve been looking for, and the title I see out the corner of my eye – the one I’ve been after for a while – and can’t quite believe I’ve found, can touch, and now read. Books are more than just what is in them. I came late to Elizabeth Von Arnim, only really discovering her this year. I tried with ‘Vera’ a few years ago and failed to get beyond the first 30 pages, (I’ve now read it all the way through and found it to be one of the most disturbing books I’ve ever encountered) at the time it just didn’t click. Since then the serendipitous find of ‘Elizabeth And Her German Garden’ looking very seductive in Oxfam, coupled with the enthusiasm of Elaine at Random Jottings convinced me that another go was due. This time it did click. German Garden is a ‘nice’ book. Light, funny, and charming, it’s perfect for a languid afternoon in late spring when the garden begins to grow in earnest. I chose ‘The Enchanted April’ for much the same reason when I was due a week in the Scottish Borders in June. It turned out to be far more apt then I expected. Early summer in Scotland has a charm all its own, like April in Italy everything seems to be happening at once. In middle England the bulbs had all been and gone, but in Scotland the last of them had lingered on to coincide with all the best of early summer. The same sense of enchantment lingered in the air, frankly wasted on the family occasion that had bought me there, but still intoxicating. Again the story is slight, but the characters are well drawn, if some of them give the impression of being sharply observed caricatures they are all the better for it, a little bit of acidity does wonders for the balance of the story which would otherwise be an overly sweet confection. I’m finding it hard not to stray into a wine tasters dialect at this point – but reading Von Arnim does put me in mind of drinking a fine old Riesling. When I found myself at Haddon Hall again recently I was strongly reminded of ‘The Enchanted April’. Haddon has been used as Thornfield Hall in every version of Jane Eyre I remember seeing, and I had come to think of it as particularly Bronte in mood, but perhaps because for the first time ever I was visiting on a sunny day we spent some time in the gardens and it changed my view of the place entirely. I can’t argue that inland Derbyshire has anything much at all in common with the Italian Riviera, but something about the walk up to Haddon perched on its hillside, and inside the way house kept unexpectedly revealing another and then another discreet little garden or courtyard accessed through doors I would have sworn should have opened into thin air reminded me so strongly of Elizabeth’s description of Portofino that I had to go back and reread it. One of the things I have come to love about Von Arnim’s garden books is the eminently re-readable quality of them. With only the slightest plot it’s the evocation of place and person; the flash of humour, that brings me back to them, and will continue to bring me back in the future. When I first read ‘The Enchanted April’ I only saw the magic in the Italian countryside, when I re-read it I appreciated the castle itself for the foil and framework it provides to the world outside its rooms. I saw Haddon totally afresh, and was bowled over by its charms, and this is the other thing I love about Elizabeth Von Arnim; for an ostensibly light read she really gets under my skin to open up brand new vistas in supposedly familiar terrain. This has been a week of job hunting (with occasional forays into second hand shops for some sneaky purchasing), rather than a week of reading. Certainly not a week of reading for pleasure at any rate. It started well with a visit to Uppingham which has two particularly good second hand book shops - Forest Books, and The Rutland Bookshop. The Rutland Bookshop is a thing of wonder. A tiny little building on 3 floors absolutely crammed with an amazing selection of books, some on subjects I couldn’t even have conceived of. They had a particularly fine selection of early 20th C hard backs – the sort with the especially decorative covers, and had I been feeling flush I would have bought armfuls of them. As it was I had to leave empty handed, mainly because I had found a little treasure trove of Virago Modern Classics in Forest Books. I am now the proud owner of ‘A Model Childhood’ by Christa Wolf, Rose Macaulay’s ‘Told By An Idiot’, Catherine Carswell’s ‘Open The Door’, and Vita’s ‘All Passion Spent’, I also acquired an Alice Thomas Ellis, an auspicious start to any week you would think...and so it turned out as yesterday produced another satisfactory second hand hunt this time a little nearer to home. Yet more Virago (my collection is looking very respectable these days) including an Elizabeth Von Arnim I’ve been looking out for, so again – all good. My book hunting comrade came away with an even more impressive haul, fortunately mostly titles I already have or there might have been a very unseemly tussle in Age Concern. She is clearly a better person than I, as she made me a present of a Kate O’Brian, which by way of thanks I intend to read very soon. Finally this morning bought the autumn edition of Slightly Foxed through the door. I can’t begin to express how much I love this name, or how much I wish I had thought of it, not just for the book connotation, but also for the allusion to slight drunkenness, what possible better title for a book loving Oenophile to write under? Some hours of happy browsing has led to a seriously expanded wish list on Amazon. Thank heaven it’s a quarterly and not a monthly publication.